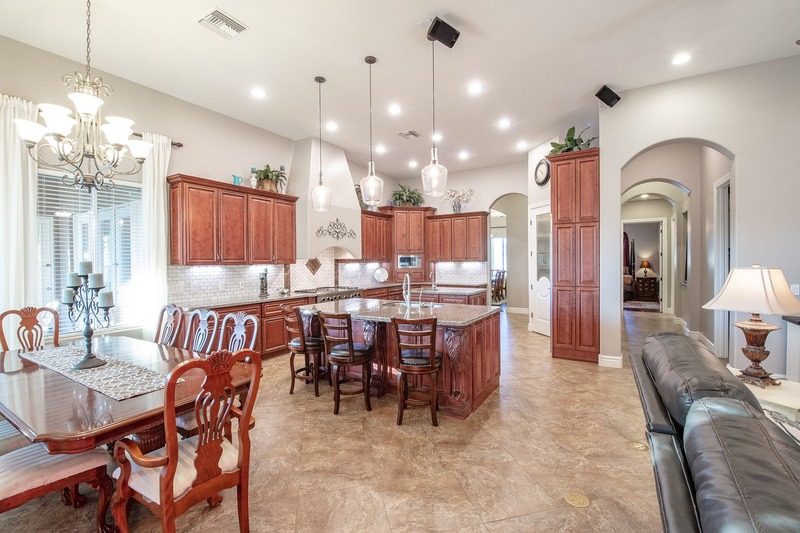 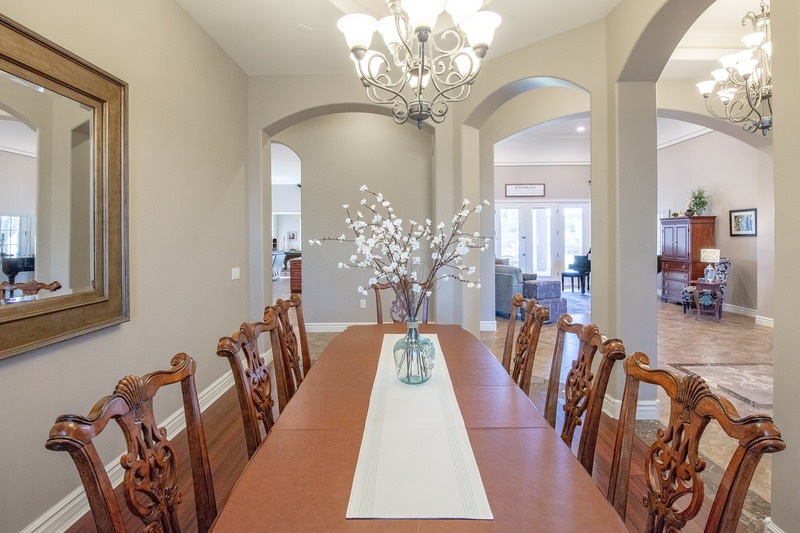 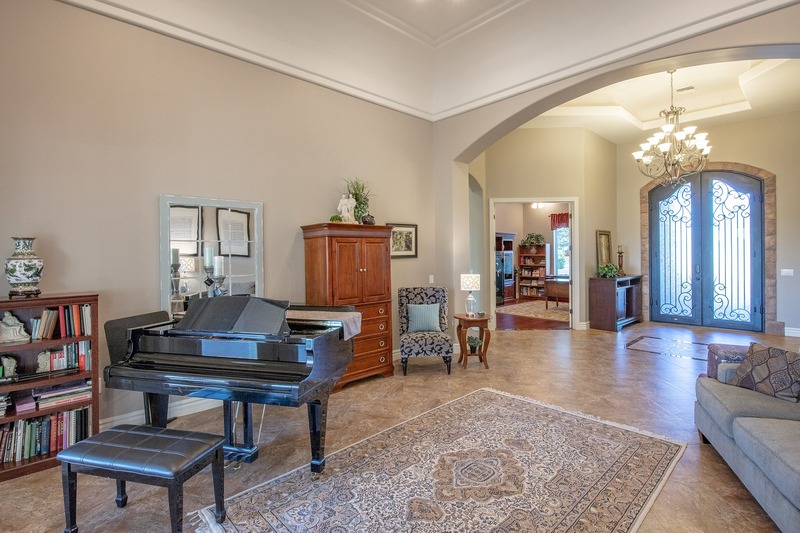 This 4,650 square foot custom home in Pegasus Airpark is absolutely stunning. 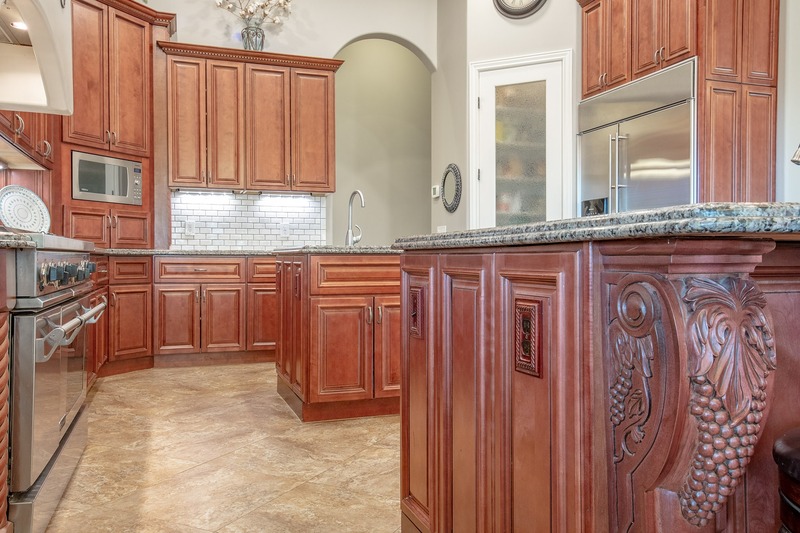 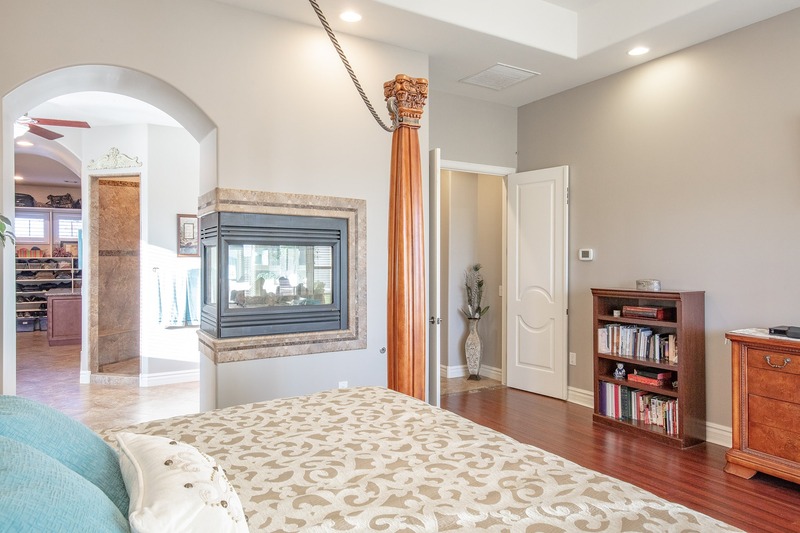 Hear from the builder and owner, Mike Albretsen, on how the home was constructed with an experienced homebuilder's eye for detail and amenities. 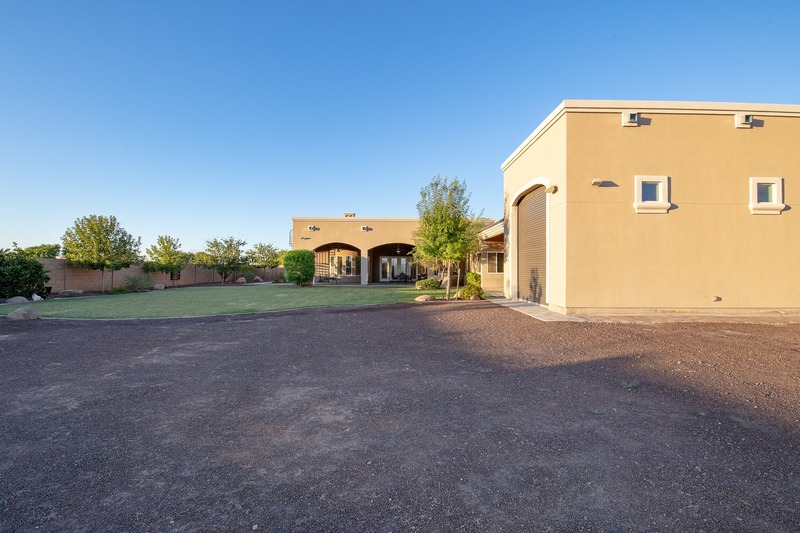 This home is truly unique, from its location right near the airstrip to its fantastic views of the mountains. 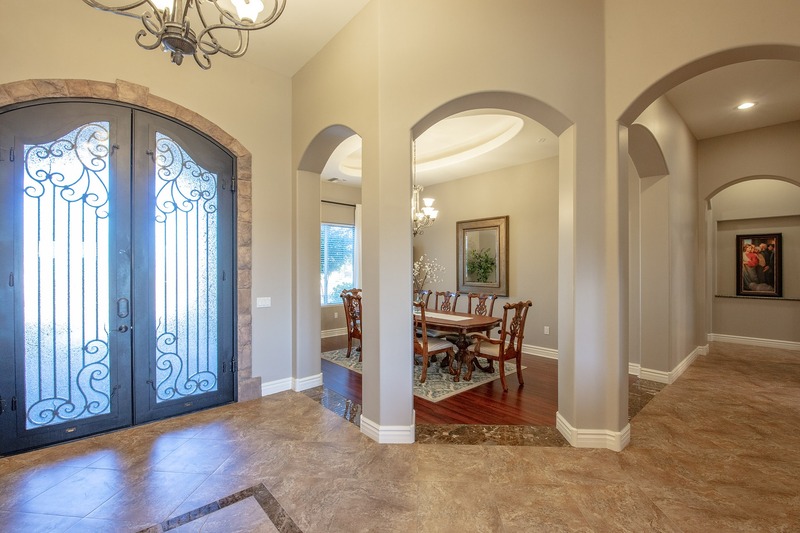 From the large curved driveway out front, guests will step through to the elegant custom 10-foot iron and glass double doors. 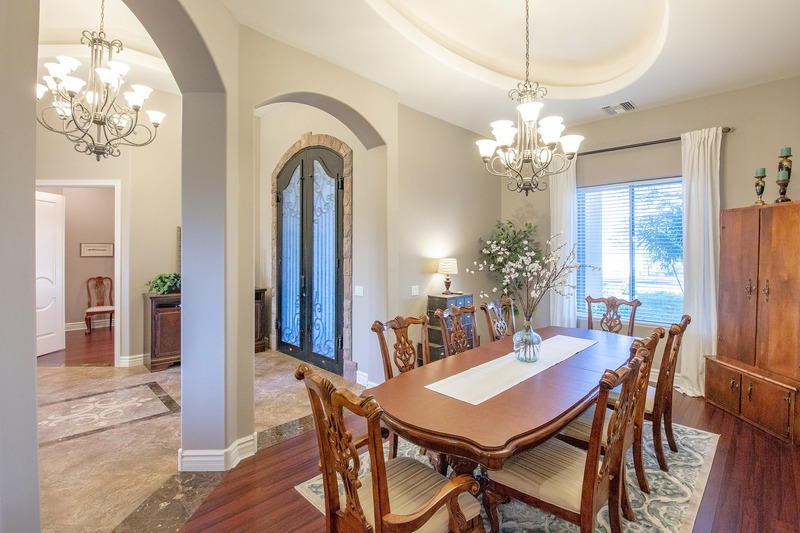 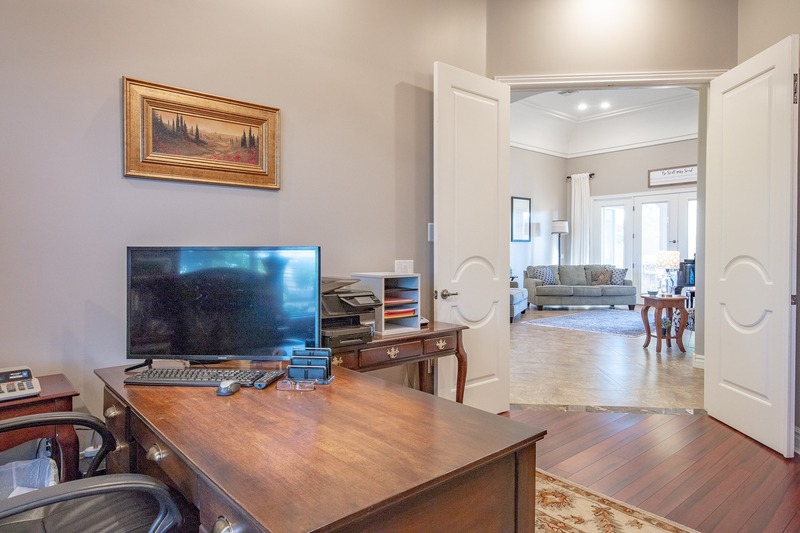 The foyer is the perfect place for greeting family and friends, with views of the dining room, study, and formal living room. 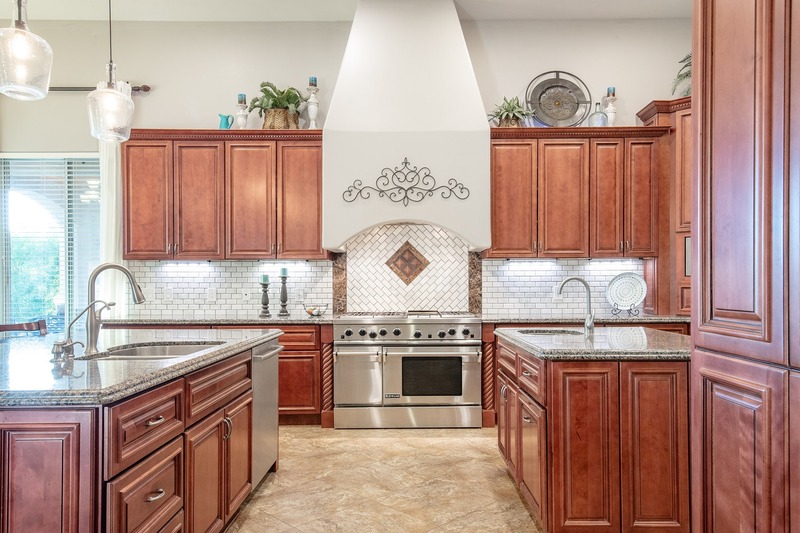 This eat-in kitchen was made to impress, from its two oversized kitchen islands with sinks, custom cabinetry, 48-inch commercial-style gas stove, and top-of-the-line stainless steel appliances. 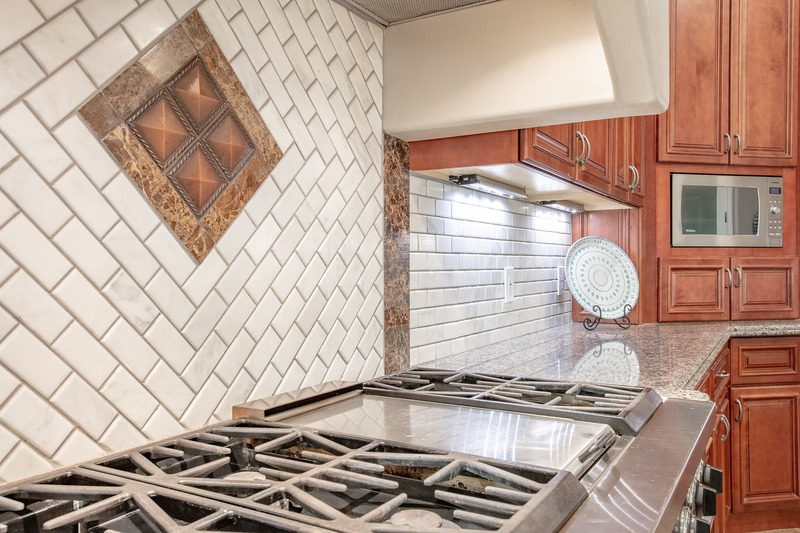 With space this large you'll be able to cook countless delicious meals. 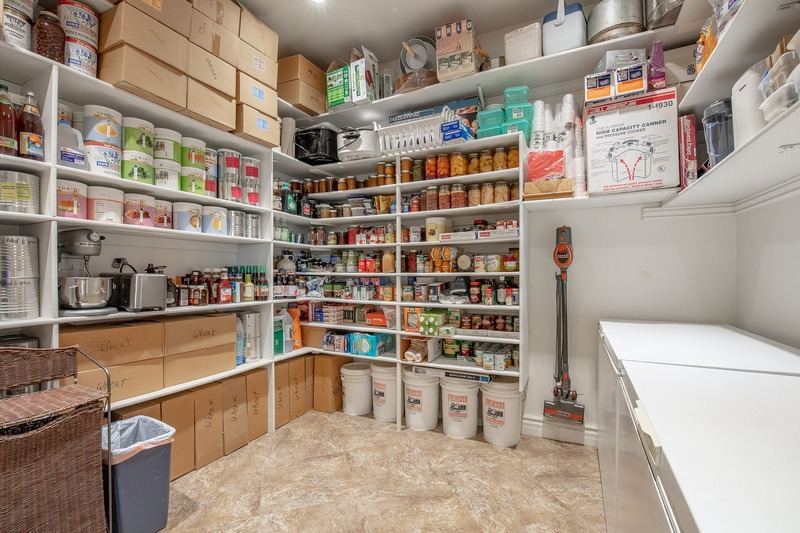 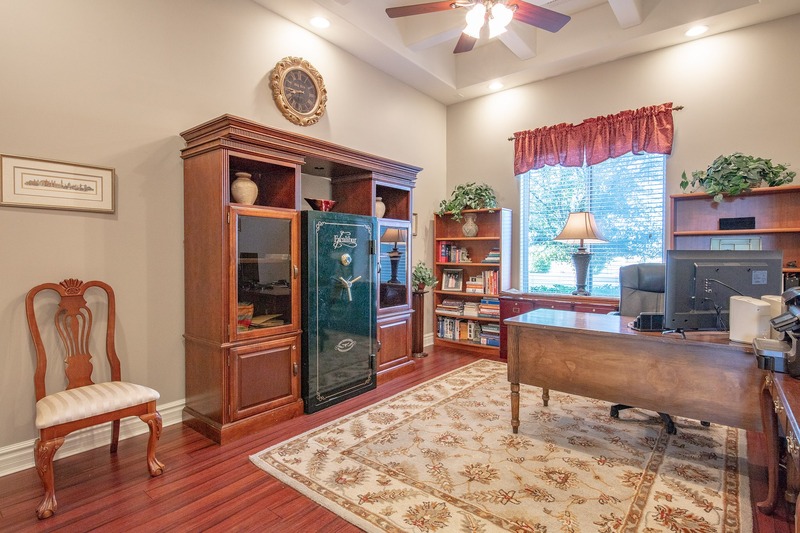 An extra storage pantry with hookups for a second fridge and two additional freezers means you can enjoy this kitchen without as many stops at the grocery store. 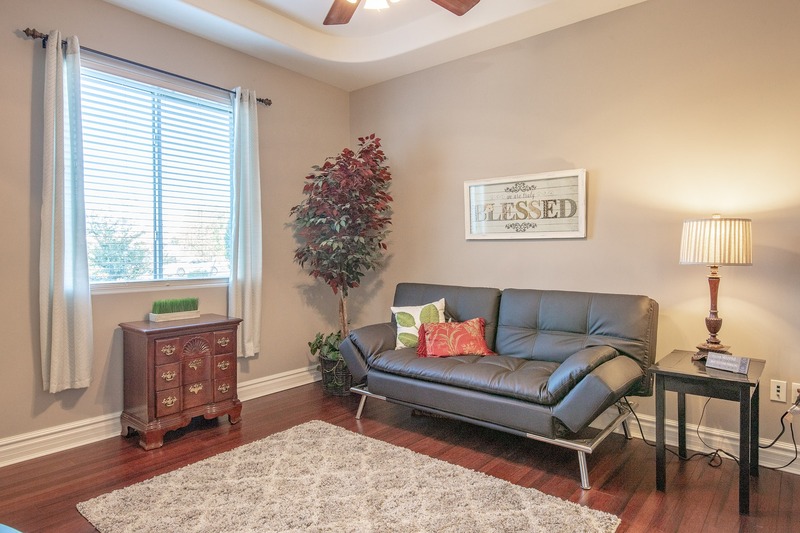 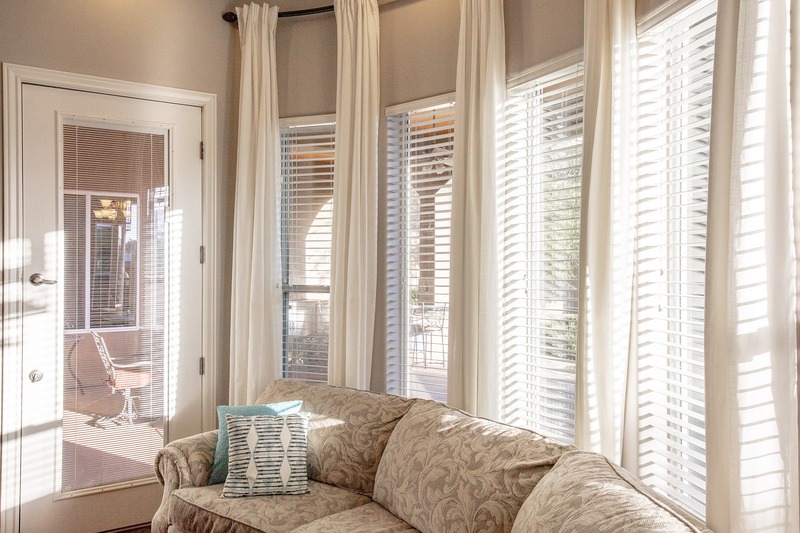 The family room will be your family's go-to destination for gathering for movie night, game time, or relaxing. 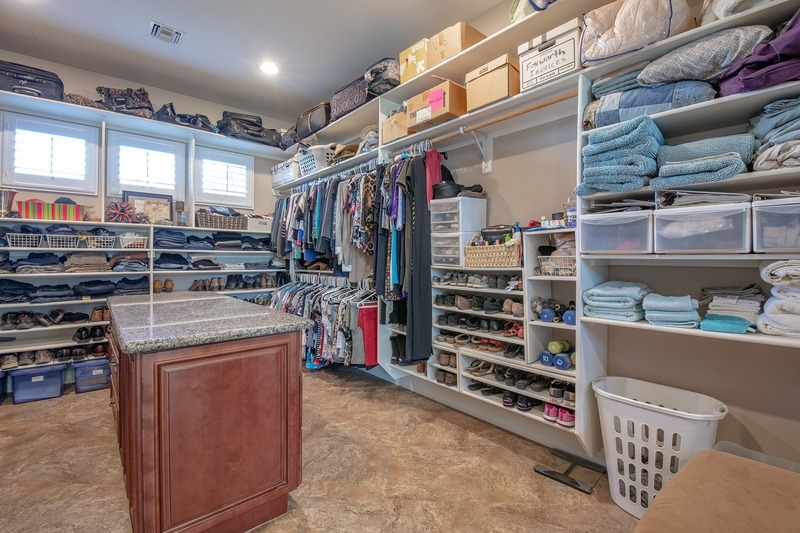 Access to the kitchen and game room make this space the ideal space for assembling the family for fun and making memories. 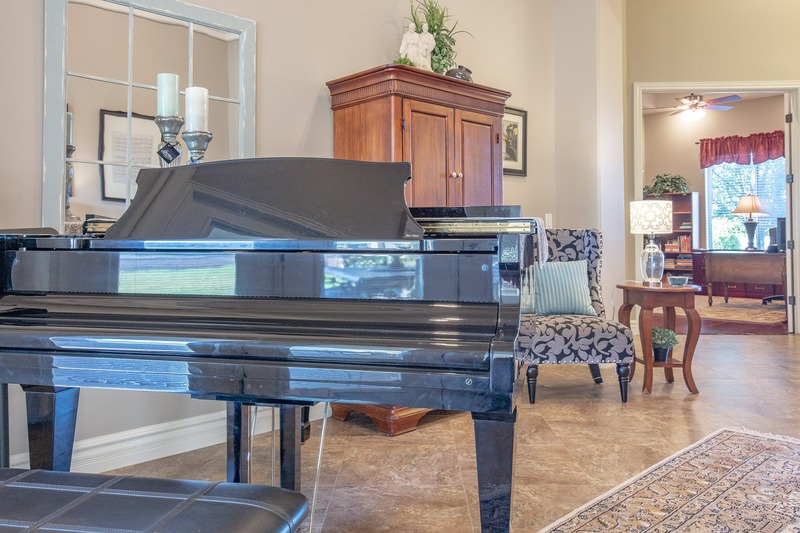 Curl up and watch the gas fireplace at night or invite friends for a game of pool, the entertainment options are limitless! 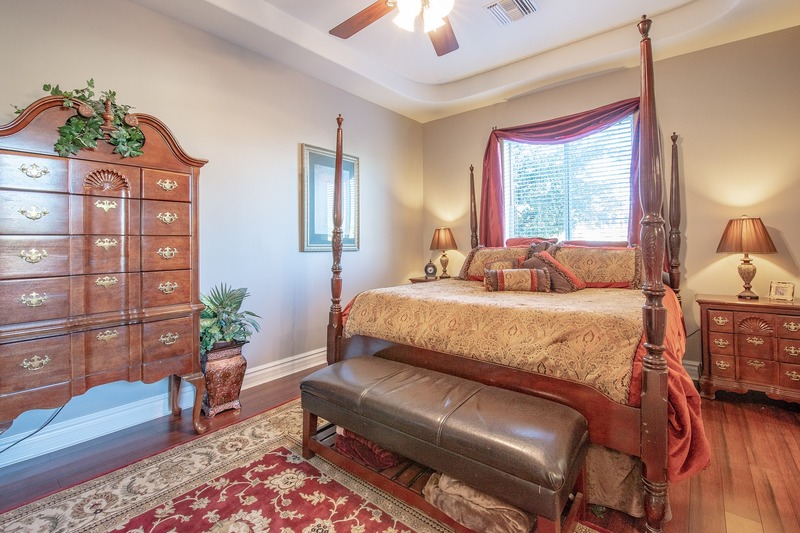 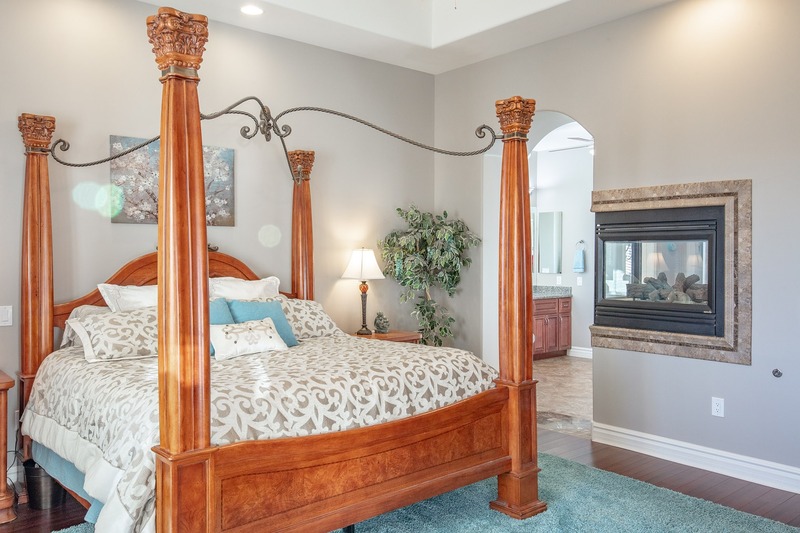 The luxurious master suite has more to offer than a place to rest your head at night. 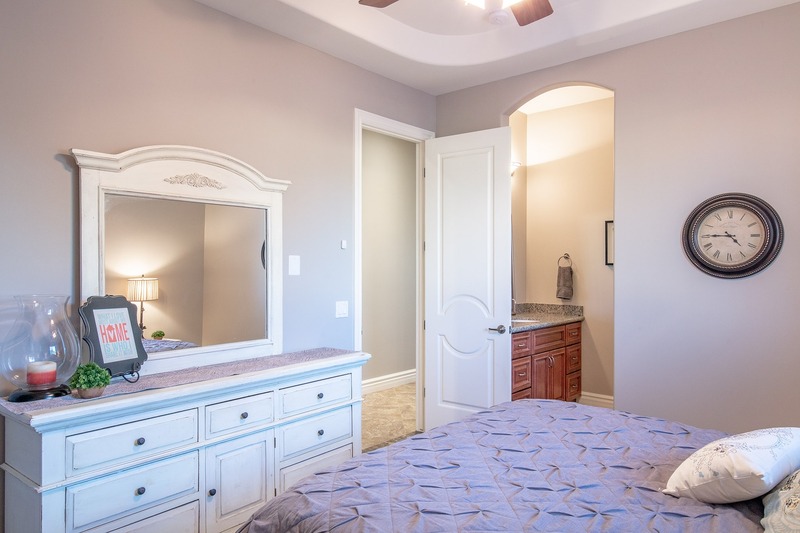 Beautiful recessed lighting illuminates the space, highlighting the space for a California King-sized bed. 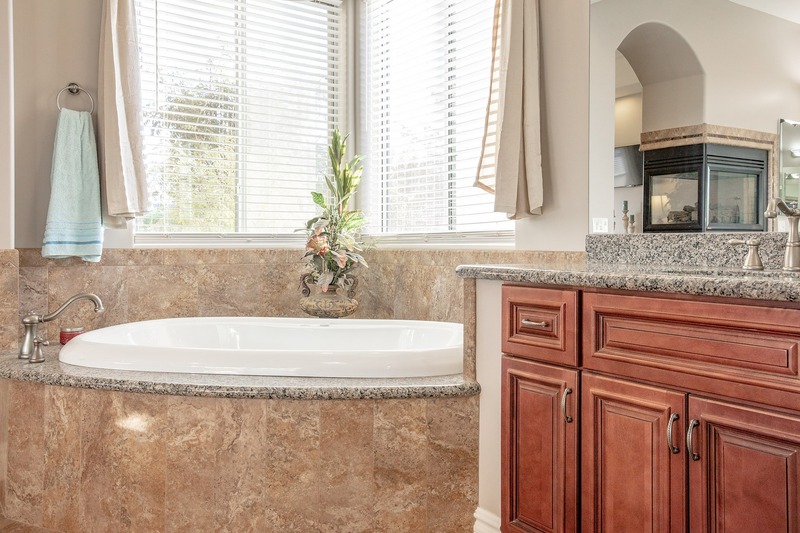 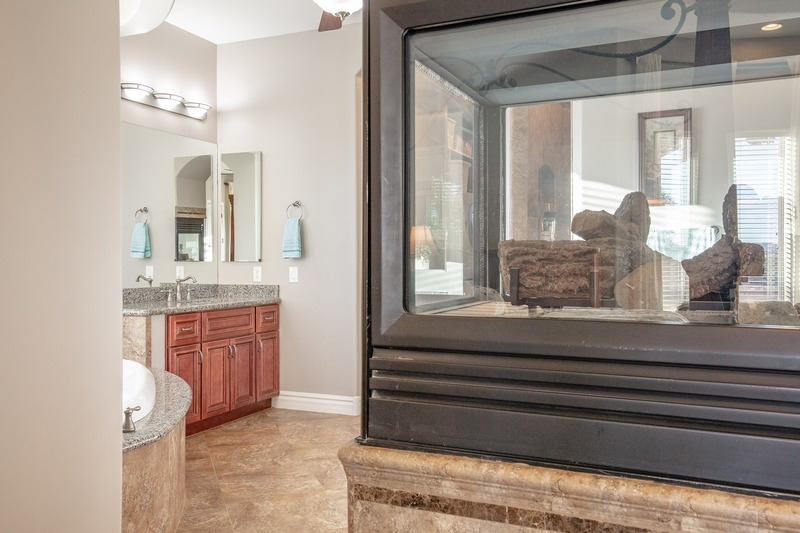 Unwind with a view of the double-sided gas fireplace from bed or in the 72" Whirlpool tub. 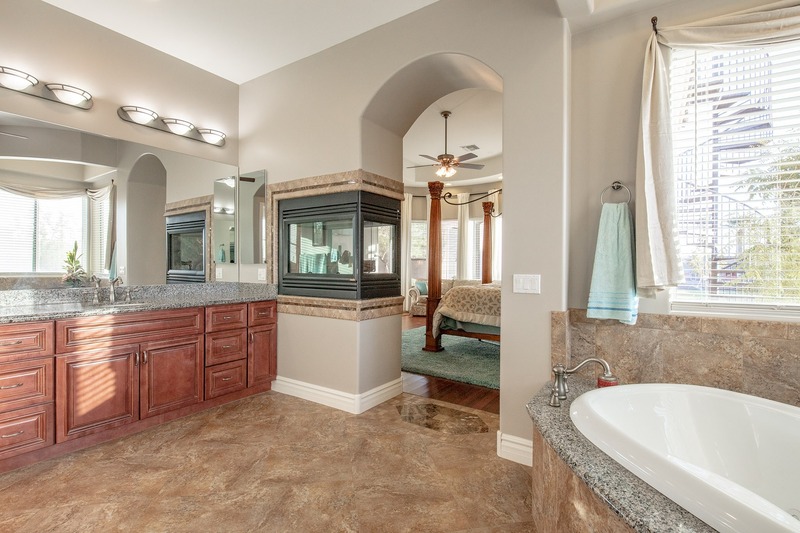 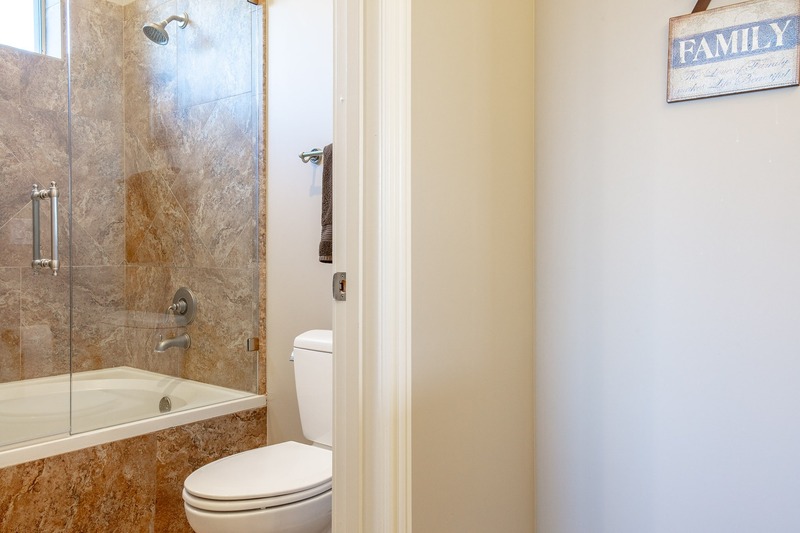 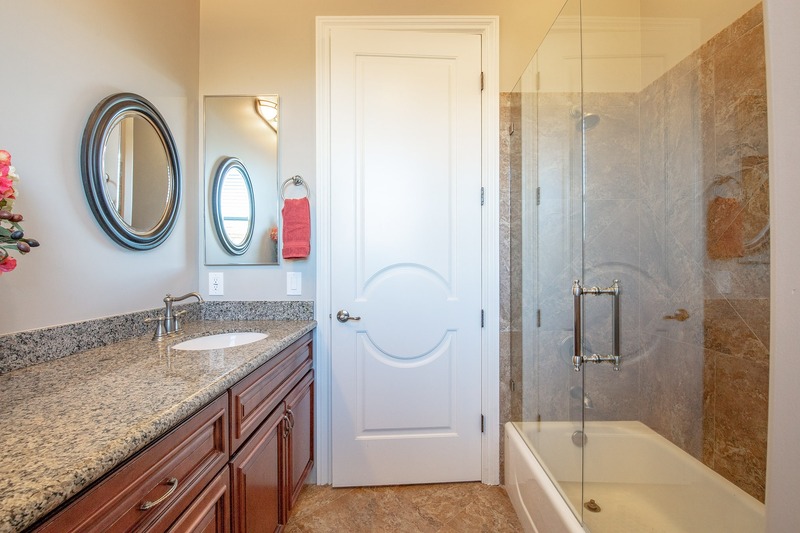 The master bath takes leisure to the next level with its walk-in dual head shower, separate vanities, and bidet. 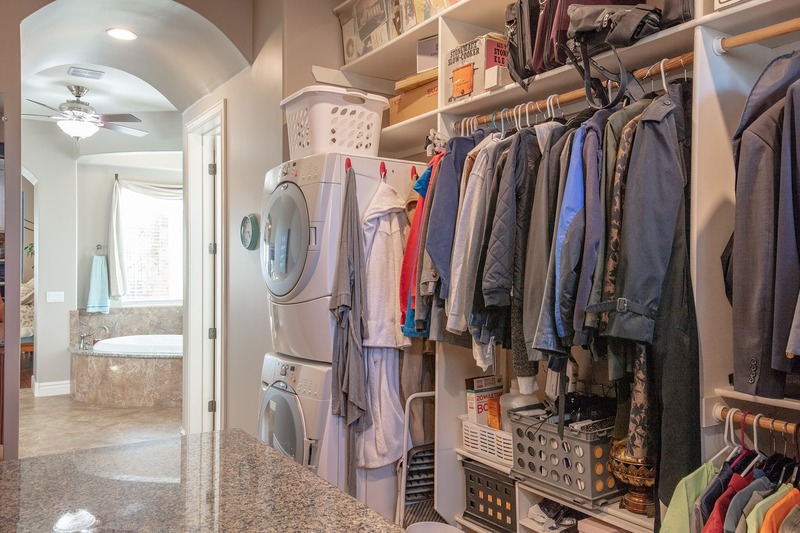 A custom walk-in closet has its own washer and dryer combo for a seamless dressing experience. 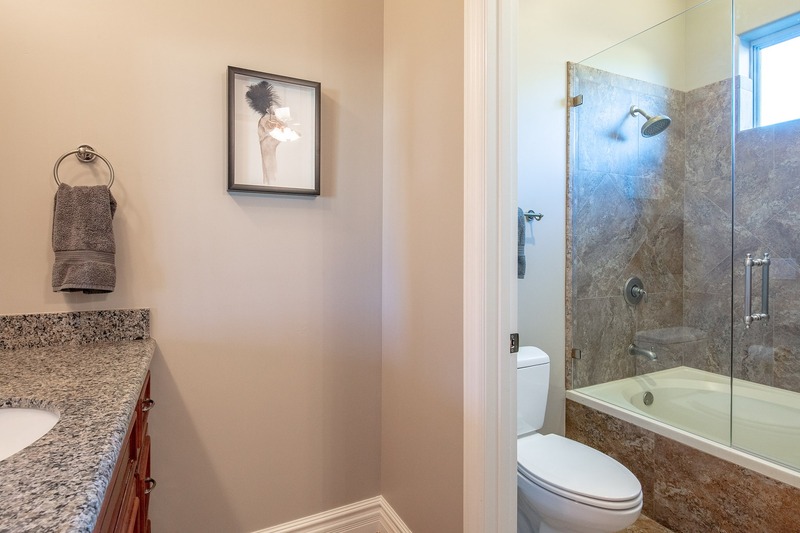 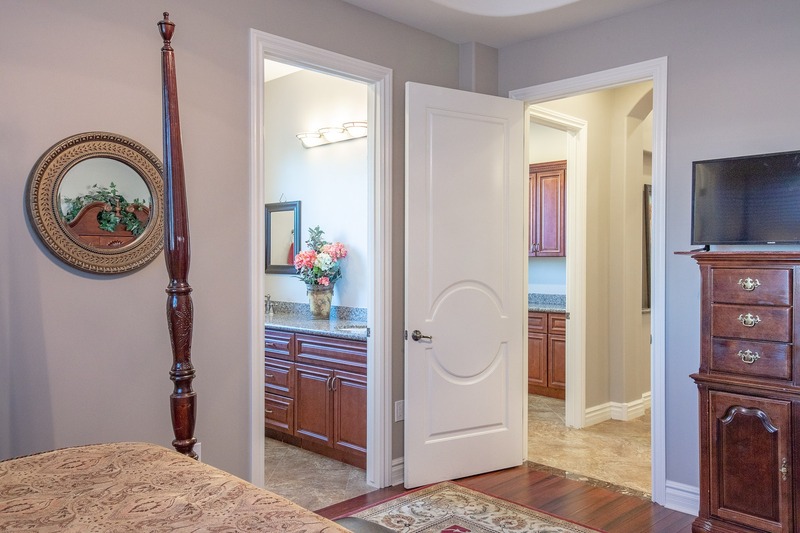 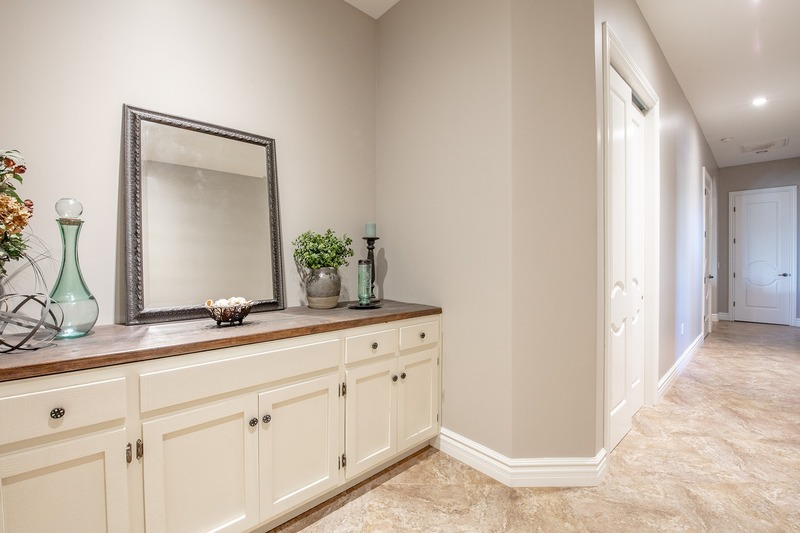 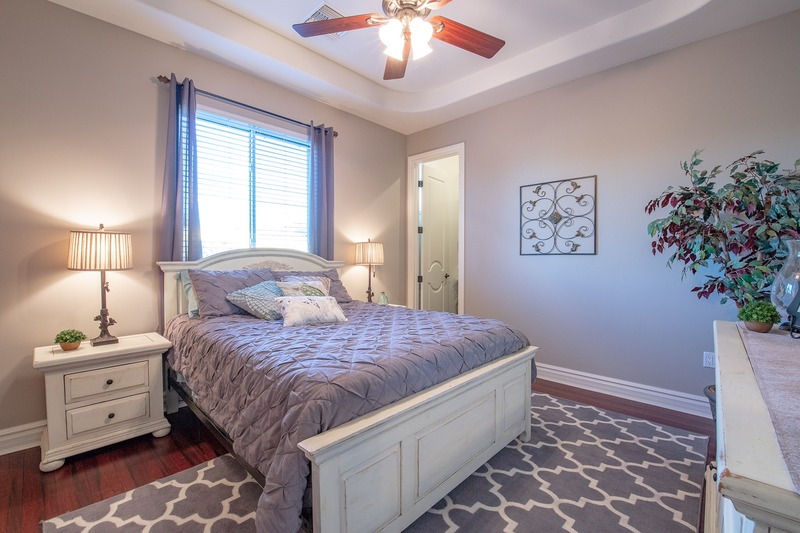 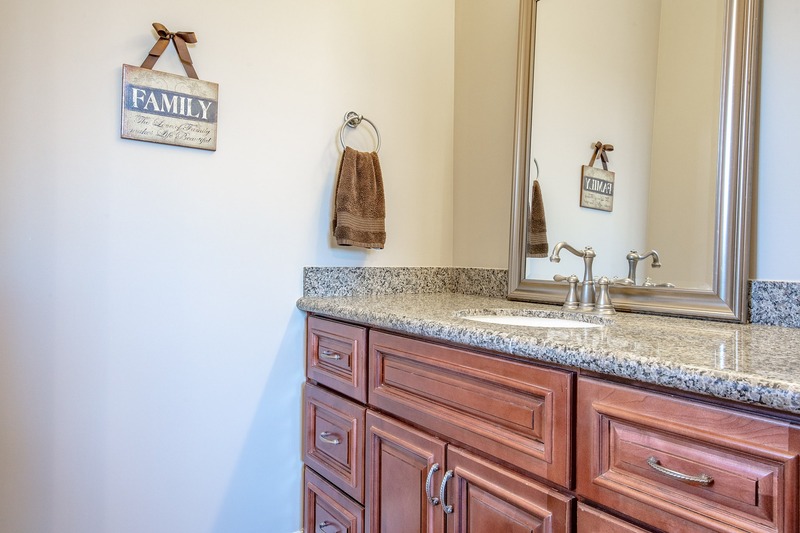 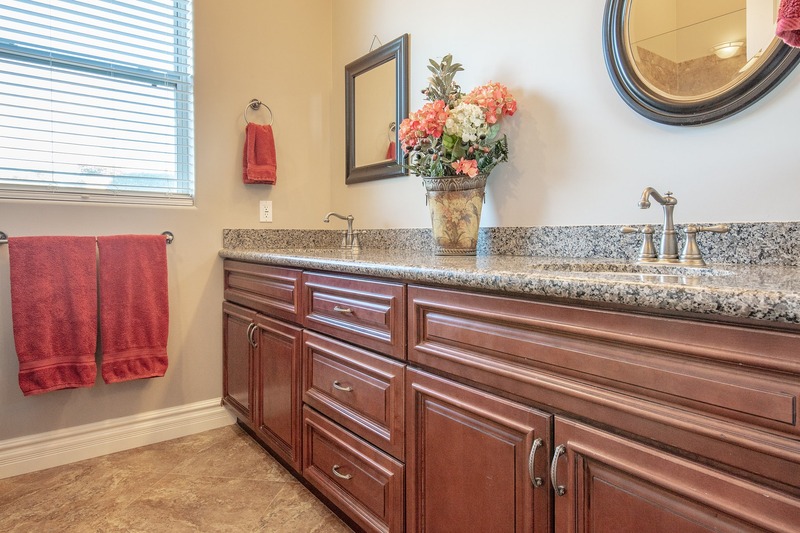 There's no need for family or guests to wait for the bathroom time with each oversized guest room including access to their own full bathroom. 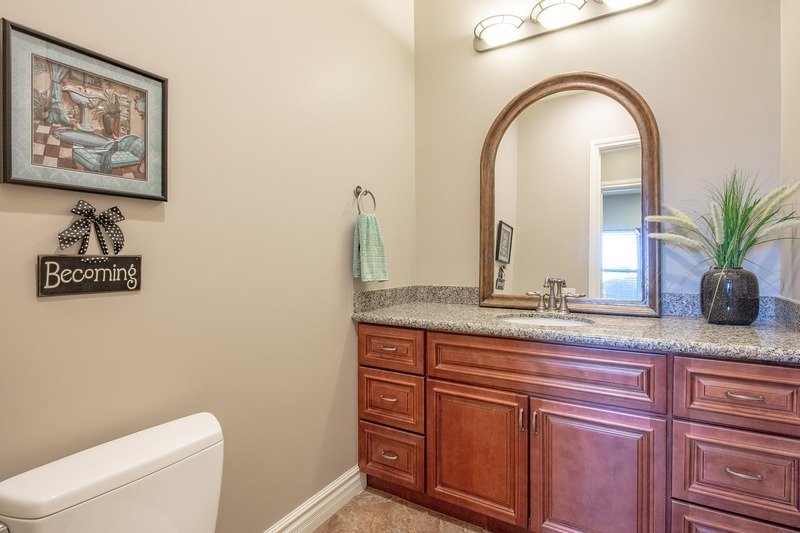 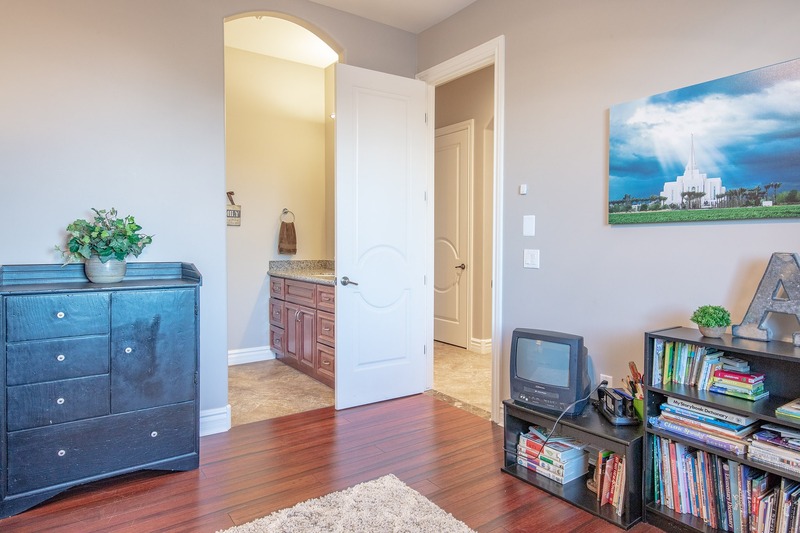 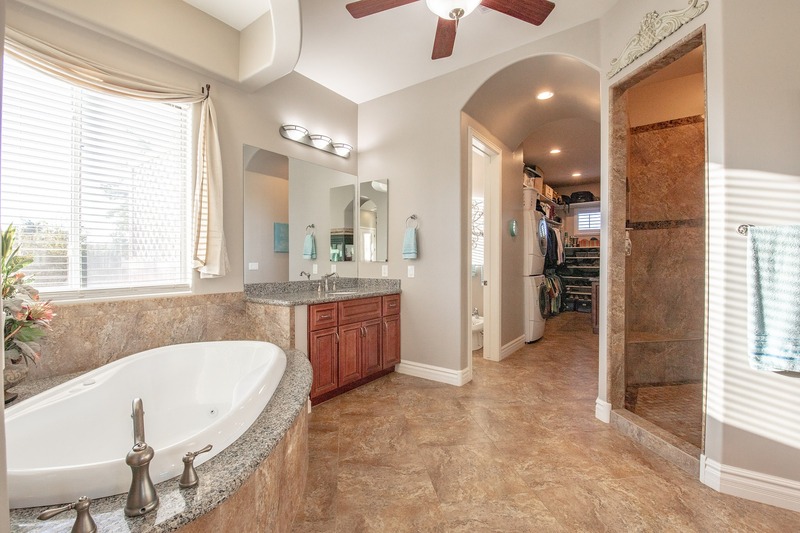 An additional half bathroom and a large laundry room round out the home. 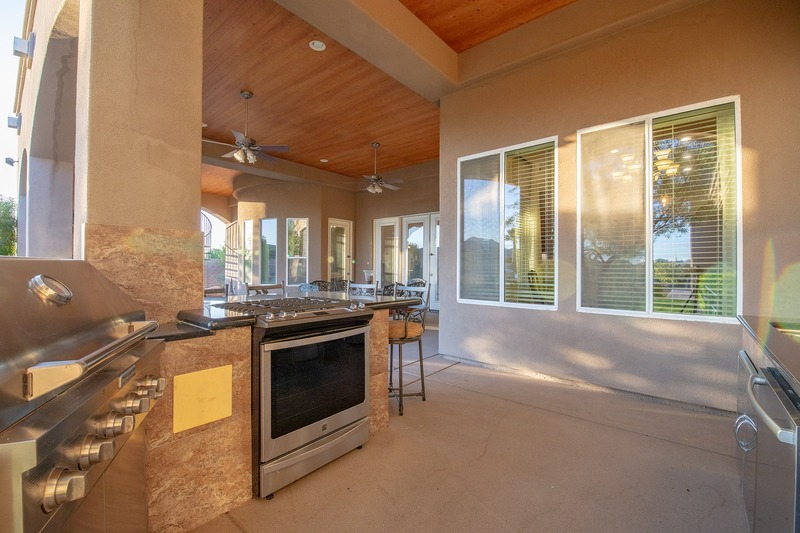 Outdoors, this home has plenty to offer. 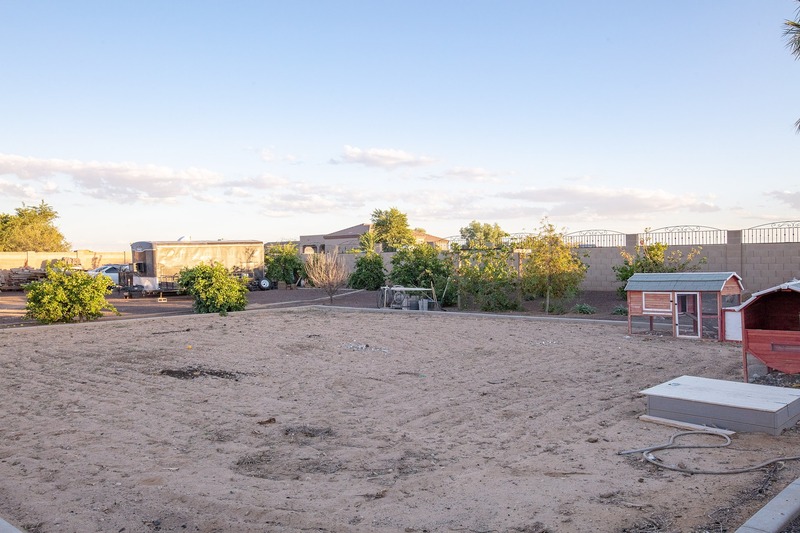 On over an acre of land, this home has its own extensive patio, rooftop views, chicken coop, and room to expand. 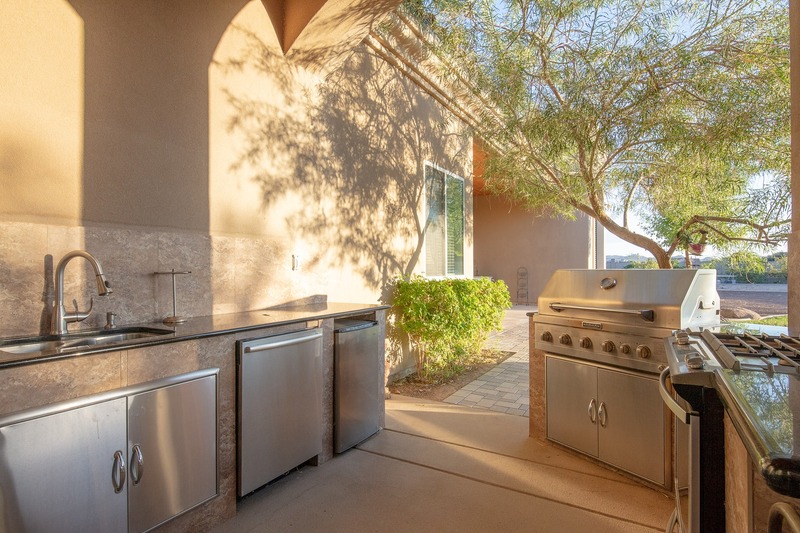 Entertain outside with a complete outdoor kitchen including a stainless steel range, dishwasher, refrigerator, Kitchenaid BBQ, sink, and sitting bar. 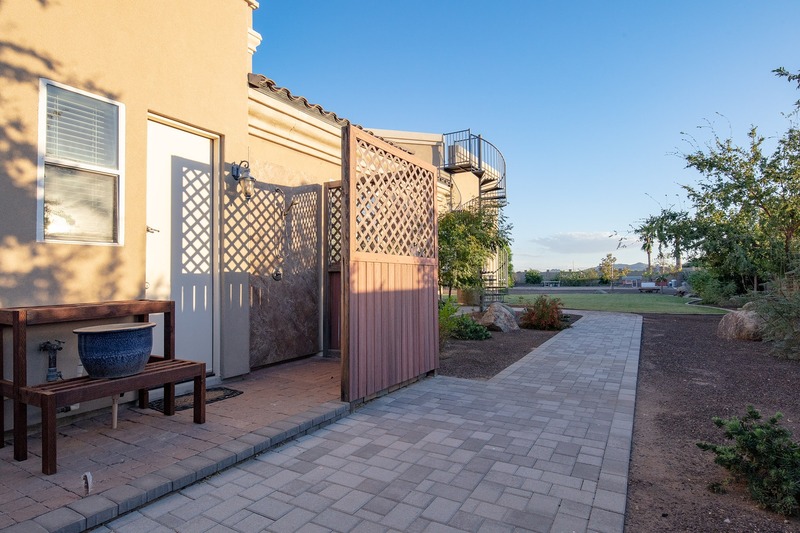 Kids and pets will love frolicking outside on the grassy area. 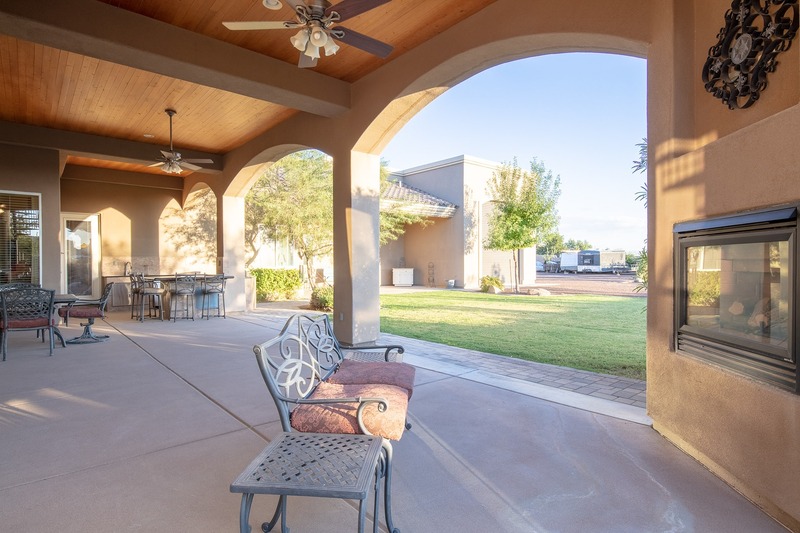 Take in the sights, sounds and smells of this paradise, including 30 citrus and nut trees throughout the property. 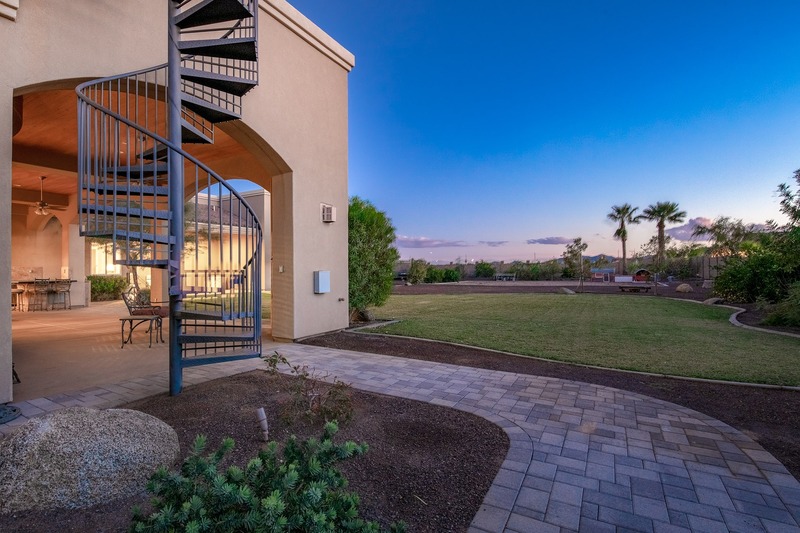 A staircase to the rooftop gives 360-degree views of the mountains and airpark. 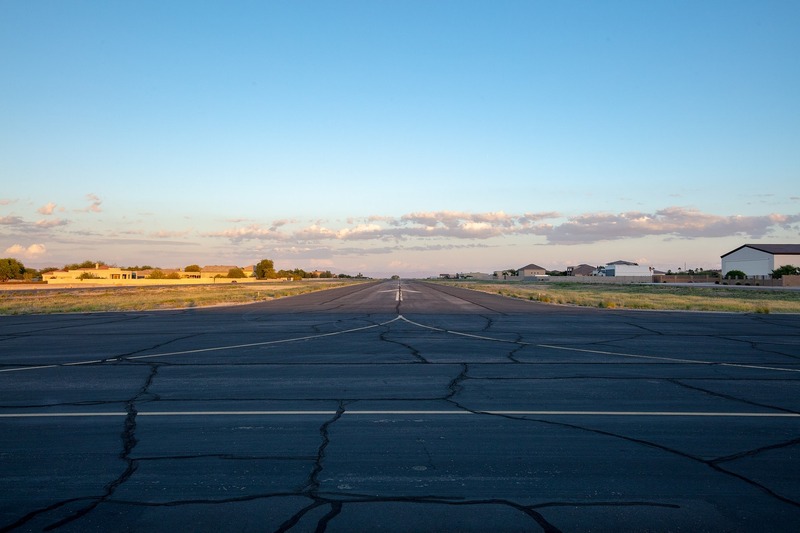 Watch the planes take off from dusk until dawn or throw a rooftop soiree. 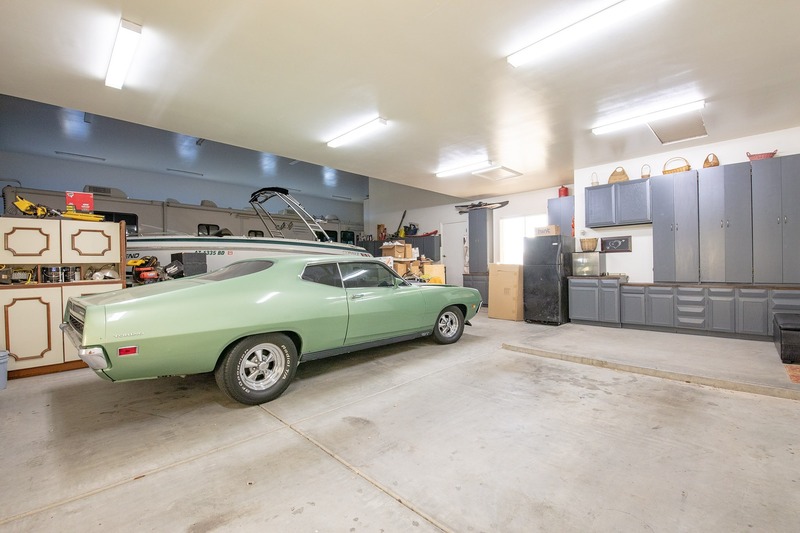 In the seven-car garage, you'll have room for your cars, RV, boat, motorcycles, and offroad toys. 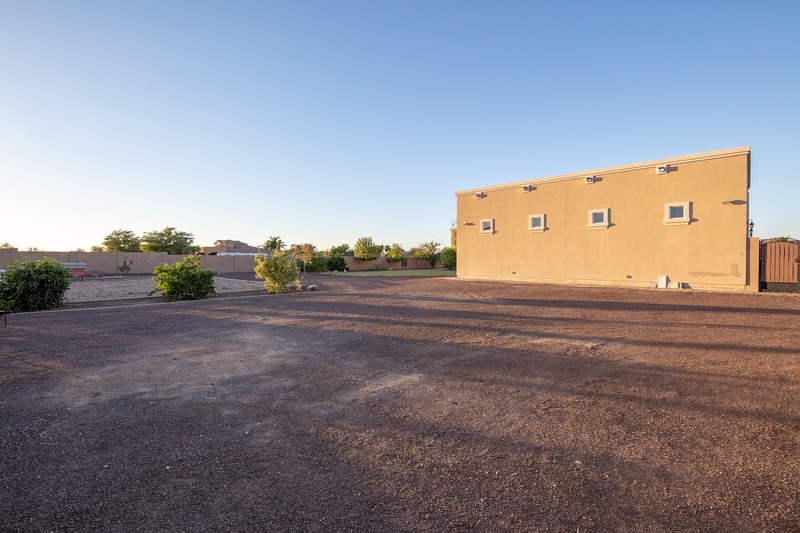 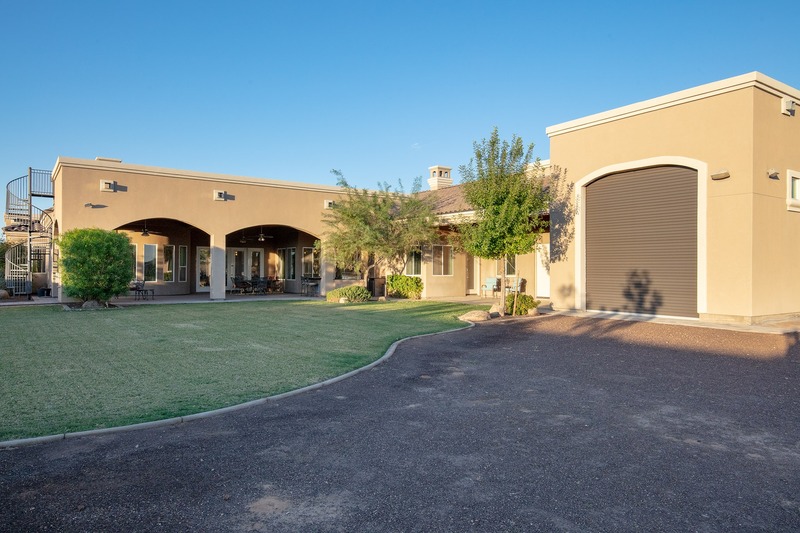 With room to enjoy as you please, this home has even more room for a pool or guest casita. 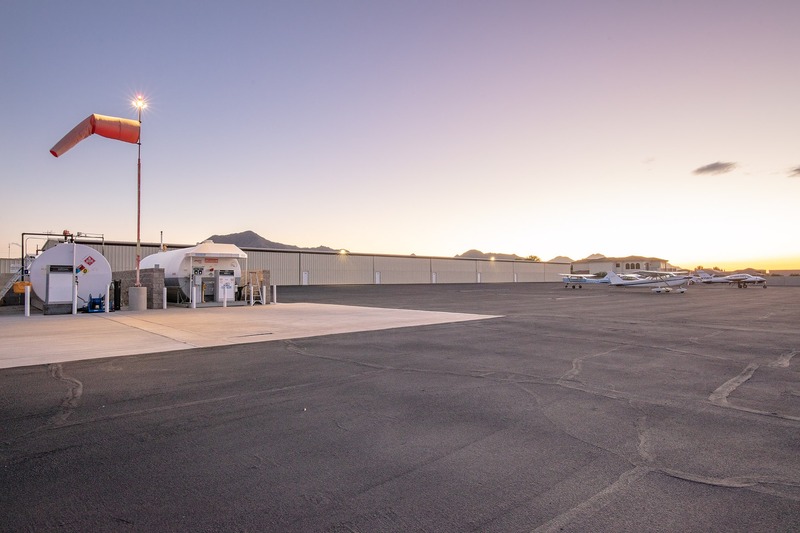 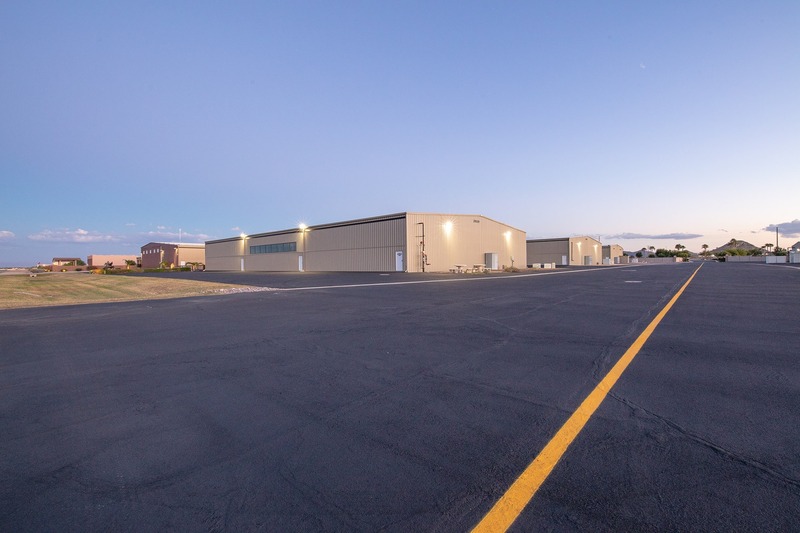 All homes within this exclusive airpark community are located on 1 to 1.3 acre lots and were carefully planned around its 5,000-foot airstrip. 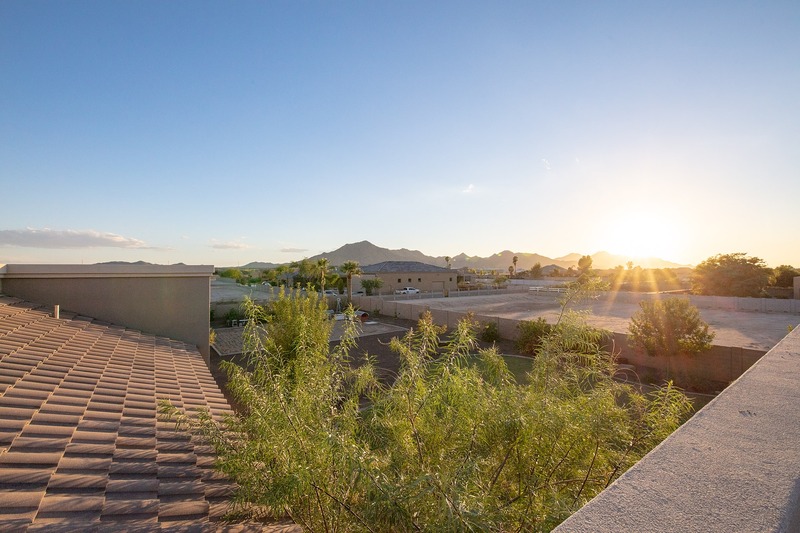 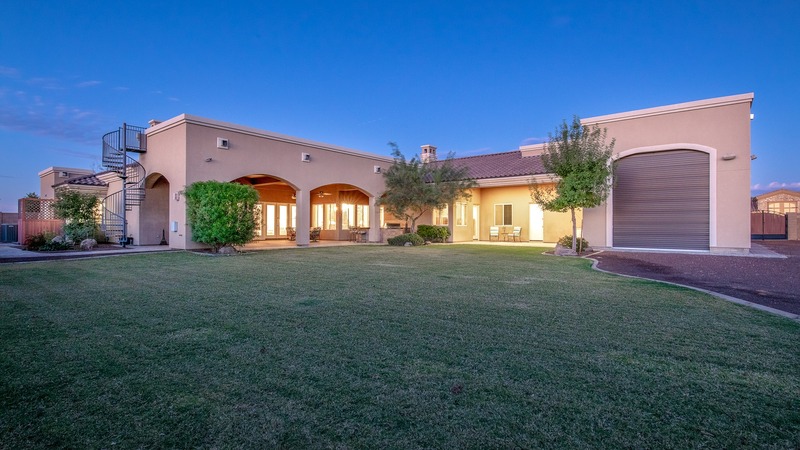 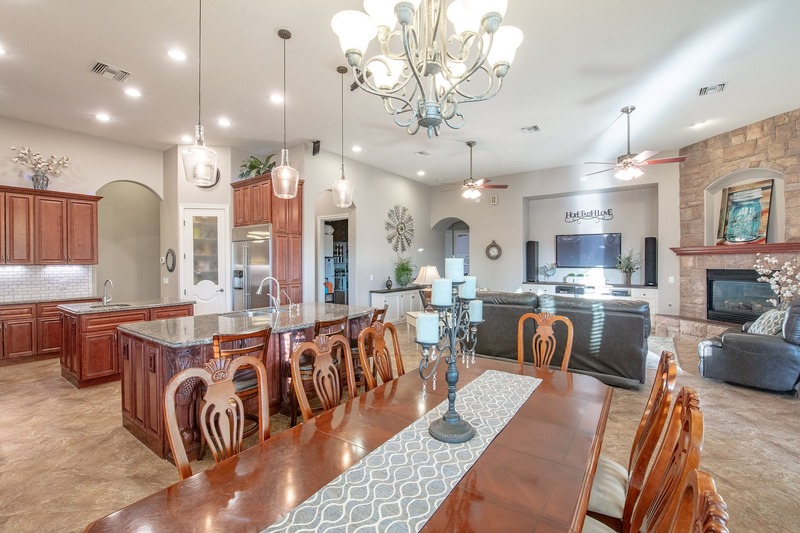 Situated with views of the San Tan Mountain range, you will have unparalleled sunset views in the East Valley. 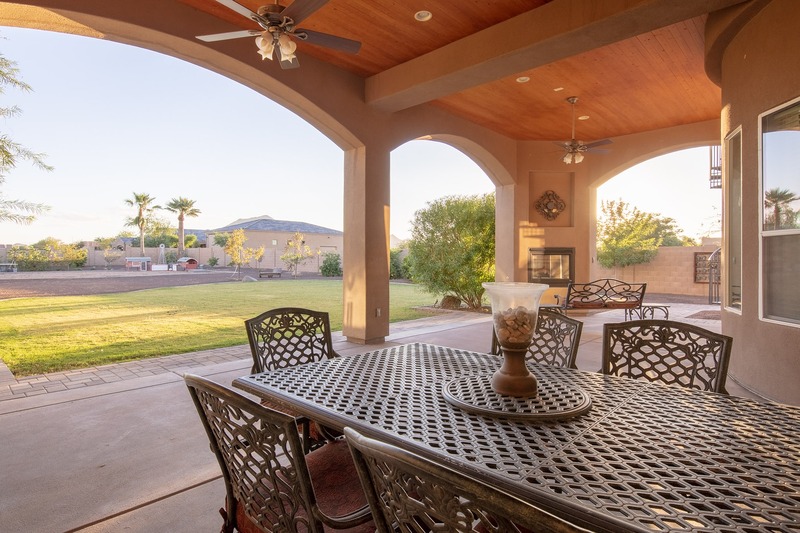 This scenic community is private, yet located only minutes from retail, restaurants and major highways. 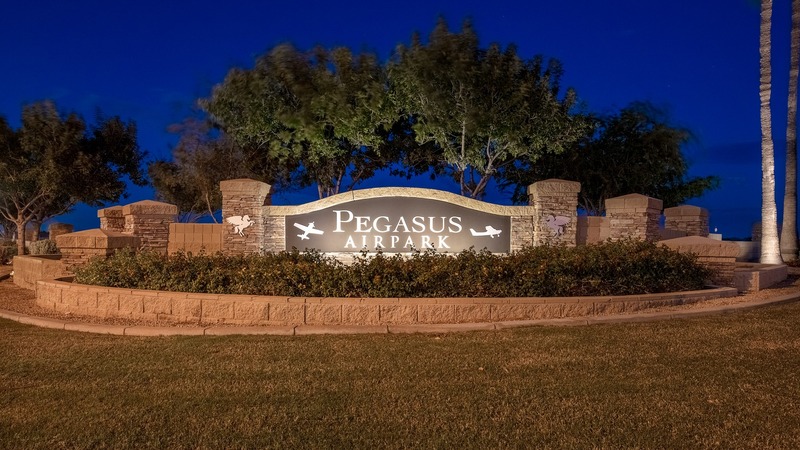 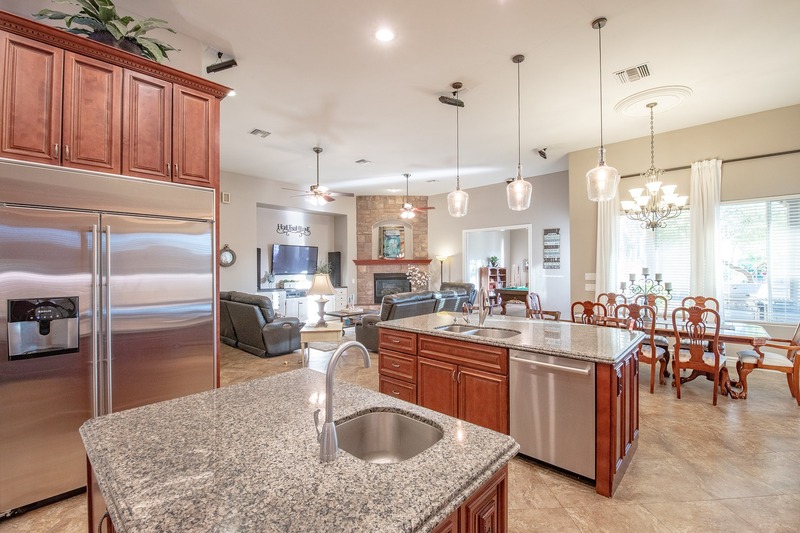 Embrace your love for aviation, equestrian hobbies, and more in this community that caters to your lifestyle.